V’al Kulam is a heart stirring melody composed by R’ Yossele Mandelbaum. R’ Yossele composed this nigun on one of the Yom Kippurs during the war, while the Jews were being forced to dig ditches, pleading with the Almighty to have rachmanos on their neshomos. The seriousness of the song, can be felt in the melody. Sha'are Demaos, the well known hit from Avraham Fried, was composed by Anshel Friedman, and was featured on the album 'Bring the House Down'. As we get even closer to Rosh Hashanah, we relate to the ideas of these two songs. We continue to request for Hashem to have mercy on as, as continue to pour out our cries during our tefilos. 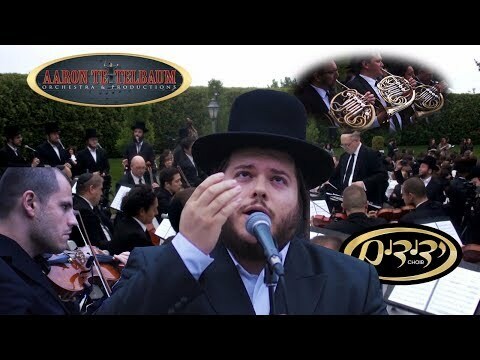 The following clip features the warm hartzig vocals of Levy Falkowitz & The Yedidim Choir, featuring the Aaron Teitelbaum Orchestra, both arranged and conducted by Yisroel Lamm. The video is from the Brach & Kalish wedding which took place on May 30th 2018, at Addison Park.